Here are three questions from DailyWritingTips.com readers about aspects of fiction writing, each followed by my response. 1. 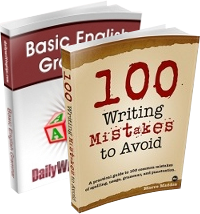 When it comes to fiction dialogue, do any grammatical rules apply? Generally, dialogue in fiction should be consistent with the speech patterns and habits of the individual characters; that’s one way to convey their personalities, and such idiosyncrasy provides a note of authenticity. 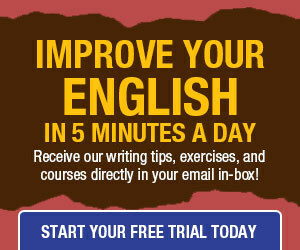 Search DailyWritingTips.com for “dialogue” to find numerous posts on the topic. 2. I have always thought that when writing dialogue and a character’s speech runs into multiple paragraphs, each paragraph should begin and end with quotation marks. However, recently I’ve seen it published where the first paragraph ends with no quotes but the second one begins and ends with them. Which is the correct way? “First, second, and all other paragraphs except for the final one. All paragraphs but the final one are left open because including a close quotation mark might lead a reader to believe that the quotation is final and that the next paragraph consists of a different character’s speech. The lack of a closing mark at the end of one paragraph and the use of an opening mark in the subsequent paragraph signals that the speech is continuing. It’s a good idea, however, to toss in an attribution or some stage business to identify the speaker now and then in an extended speech or in a conversation involving more than two speakers. 3. Why is it a crime to use a cliché in a novel? We all use clichés in talking with people, so why the big no-no when writing? In social situations and other informal environments, “lazy” language is acceptable — it’s a lot of work to keep up careful discourse. The same is true with casual writing. But novels should be written with the utmost care, even if the tone is colloquial, with language that is as fresh and original as possible. Occasional idioms are acceptable, but strive to find your own way of expressing a thought or conjuring an image. Ultimately, the choice is up to you, but reader response (or lack thereof) may change your mind. I do not think that writers like Hemingway, Buck, and Steinbeck wrote that way – though I am not deeply versed in them. They probably wrote more realistic conversation. Sorry, it is “the quality of mercy”, and not “merch”. Yes, it is well known that the quality of “merch” is quite strain’d. I’m neither inclined nor qualified to address the merits of short-vs.-extended dialog in fiction, but as a matter of punctuation, omitting the closing quotation mark in a multi-paragraph quote (except for the last paragraph) is the current standard. “The first single quote opens the dialog. “The next single quote continues the dialog.